Occipital neuralgia is defined as a unilateral or bilateral paroxysmal, shooting, or stabbing pain in the posterior part of the scalp, in the distribution of the greater, lesser, or third occipital nerves. It is commonly associated with tenderness over the involved nerve and sometimes accompanied by diminished sensation or dysaesthesia in the affected area. 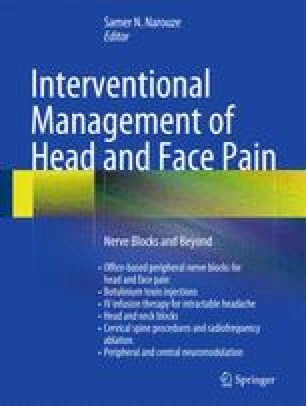 The pain of occipital neuralgia may reach the fronto-orbital area through trigeminocervical interneuronal connections in the trigeminal spinal nucleus.